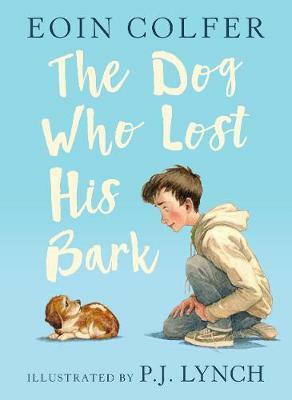 A warm, uplifting story for young readers about a boy and his dog and the power of music to heal; a first-time collaboration from two Irish Children's Laureates. Eoin (pronounced Owen) Colfer is the New York Times bestselling author of the children's fantasy series Artemis Fowl. His other notable works include Half Moon Investigations, Airman, and The Supernaturalist and he has sold over twenty million books worldwide. He was the Irish Children's Laureate, the winner of the Evergreen Young Adult Book Award, and won the Irish Children's Book of The Year Award for his story Imaginary Fred, illustrated by Oliver Jeffers. He resides in Ireland with his wife and two children. You can visit him online at www.eoincolfer.com. P.J. Lynch has won many awards, including the Mother Goose Award, the Christopher Medal three times, the Irish Bisto Book of the Year Award, and the prestigious Kate Greenaway Medal on two occasions - first for The Christmas Miracle of Jonathan Toomey by Susan Wojciechowski, and again for When Jessie Came Across the Sea by Amy Hest. In recent years, P.J. Lynch has been commissioned to design posters for Opera Ireland and the Abbey Theatre, as well as designing stamps for An Post. He lives in Dublin with his wife and three children.